After just months of preparation and weeks of discussion, Mayor Sandy Stimpson’s administration and the Mobile City Council have decided which projects to fund in the first of a three-year process to repair and rebuild the city’s infrastructure. The plan would spend a total of almost $21 million on a series of projects across the seven council districts. The majority of the projects for fiscal year 2016 will help the city catch up on a $250 million backlog of work, Councilman Joel Daves said. This influx of capital money comes from an extension of a roughly 20-percent “penny” sales tax increase. The penny tax was first approved in 2010 but was extended for a three-year period last year. Fiscal year 2016 is the first year the council will split the tax by district. During the 2015 fiscal year, Mayor Sandy Stimpson’s budget called for more than $14 million in capital money, which was an increase over the $3.5 million set aside in the 2014 fiscal year. Daves said the process wasn’t flawless, but bumps in the road were expected in the first year. Executive Director of Urban Planning and Development Dianne Irby said the process began with a consultant helping the city organize project ideas. Irby said ideas were taken from 311 calls, meetings with Stimpson, prior comprehensive plans, staff knowledge and recommendations from councilors. “We pulled all of it together and organized it by department,” Irby said. Members of the administration and the consultants discussed the projects with councilors before they were scored and prioritized, Irby said. The process was also the focus of two finance committee meetings. Irby said a lot of projects previously designed but never funded, or ones where the design process would be relatively easy, tended to rise to the top of the list. “Shovel ready” projects were given priority. Irby said this is one reason why sidewalk repairs and road resurfacing are prominent in each district. Roadway projects are featured heavily in the plan. The most expensive single project is a $3.2 million reconstruction of a portion of South Ann Street from Douglas Street to Arlington Street. 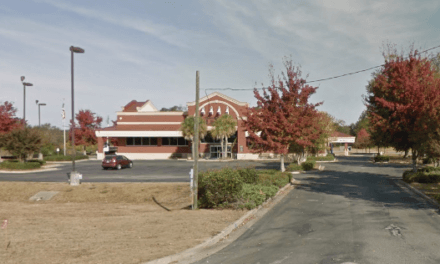 In ensuing years, the Ann Street corridor from Tennessee Street to Springhill Avenue would be targeted for future capital improvement spending. Each segment of the street is expected to cost around $3 million, city engineer Nick Amberger said. 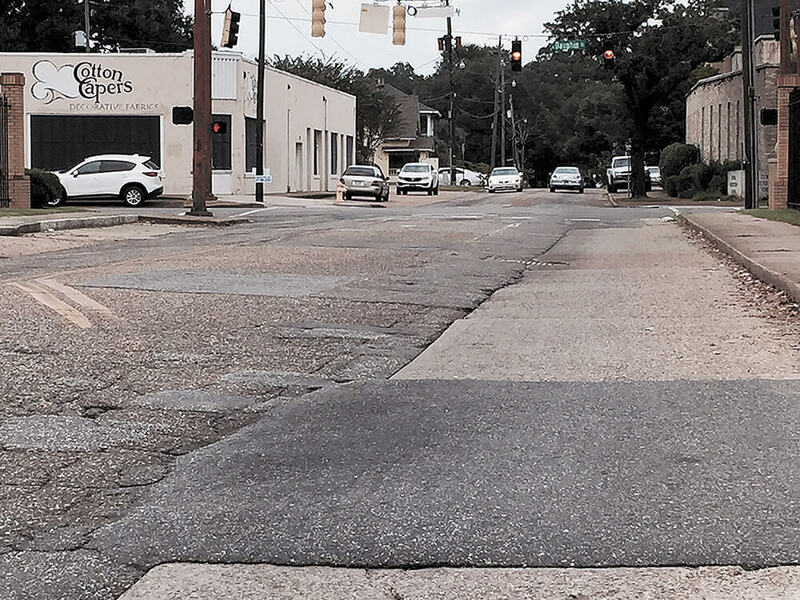 Amberger said for a number of years, the majority of money available for roadway repairs came from Mobile County’s pay-as-you-go program, sometimes as much as $6 million annually. Without the county’s assistance, Amberger said, the city would have spent only around $1 million each year on resurfacing. A 2014 analysis by the finance department found that between 2004-2013, city government spent less than 22 percent of funds initially budgeted for capital improvements on infrastructure or purchases of capital items. Instead, 78 percent, or roughly $247 million over the same 10 years, was transferred to other funds, used to pay outstanding debt and lease payments or pushed into reserves. In the new plan, roadway resurfacing, striping, sidewalk repair and installation make up roughly $750,000 of Councilman Fred Richardson’s $2.6 million worth of projects for District 1. The biggest single project outlined in District 1 is $810,000 for filling some of the 41 open ditches in the Trinity Gardens neighborhood. Amberger said the $810,000 would allow for the engineering and work on ditches along three to four streets in the community. “It’s a significant project,” Amberger said. Richardson said he was pleased work would be starting on the ditches. “Without this, it’s a hopeless situation,” he said. 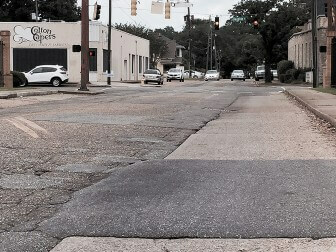 Of the $750,000 in roadway resurfacing and sidewalk repair set aside in District 1, $150,000 will be used for the installation of sidewalks on Mobile Street from Springhill Avenue to Nall Street. Most of the funds allotted for District 2, or about $2.1 million of a total $2.4 million, will go to projects related to roadway resurfacing or reconstruction and sidewalk repair or installation. A total of $790,000 will resurface portions of several streets in the district, with the largest single project targeting a portion of Little Flower Avenue for $132,000. That total also includes about $405,000 in sidewalk repair, replacement or new installation. Other money will be set aside for parks and smaller projects. While the Ann Street reconstruction requires most of the $4.5 million allotment in Councilman C.J. Small’s District 3, there is still more than $400,000 allocated toward sidewalks and roadways. Other District 3 money will be used for streetlight repair, park improvements and smaller projects. Roadway resurfacing and sidewalk repair or installation makes up $665,000 of the roughly $2.5 million in District 4 improvements. The largest single project on the list is slope stabilization and sheet size repair to Montlimar Creek, totaling $575,000. Other projects include park and drainage improvements. Councilman John Williams said the projects were mostly about drainage, parks and resurfacing. As for the process, Williams said he was pleased with how everything was split. In District 5, $750,000 of a total of $2.6 million will go toward roadways and sidewalk repair and installation. The largest single project costs $550,000 to improve signal coordination through the Airport Boulevard and Sage and McGregor avenues corridor. In District 6, $925,000 will go toward roadway resurfacing and sidewalk repair or installation, but the largest single project is $450,000 to replace playground equipment at Medal of Honor Park. Bess Rich said the playground was built in 1996 and is heavily used by residents in her district. She added that sidewalks and resurfacing were also high on the list. “My theory was many of the neighborhoods have been without [street] resurfacing for 15 years and needed it,” she said. In District 6, as in many other districts, Irby said, consultants and the Council looked at neighborhoods that would benefit from street resurfacing. They focused on areas, instead of one street in one location and then another in a different area. Rich said it definitely was the approach in her district, where many of the individual neighborhoods are homogenized. Roadway resurfacing and sidewalks make up $625,000 of the roughly $2.5 million to be spent in District 7 this year. The largest single project on the list was $200,000 to be set aside for sidewalks and shade structures at Langan Park. Despite the funds allocated during the next fiscal year toward resurfacing and sidewalks, Council President Gina Gregory wrote in an email message she’d like to see more of the same in future capital improvement plans, as well as more drainage work, lighting and work on the greenways initiative. As for the process, Gregory wrote that although it was a “daunting task,” city staff members and consultants did a great job divvying everything up. In addition to district-specific projects, the plan includes a small amount of citywide projects. A total of about $1.2 million will be spent on multi-district, facility-specific projects. Of those, the largest is a proposed $315,000 roofing project at Moorer Library. About $600,000 of money in the capital improvement plan paid for program management services by the consultant.